Melissa Elmore is stepping aside as executive director of the Highland County Chamber of Commerce effective Jan. 31. After seven years of leading the Highland County Chamber of Commerce, longtime Hillsboro resident Melissa Elmore is stepping down as executive director effective Jan. 31, 2019, according to a news release. Efforts to reach Elmore on her cell phone Wednesday were not successful. 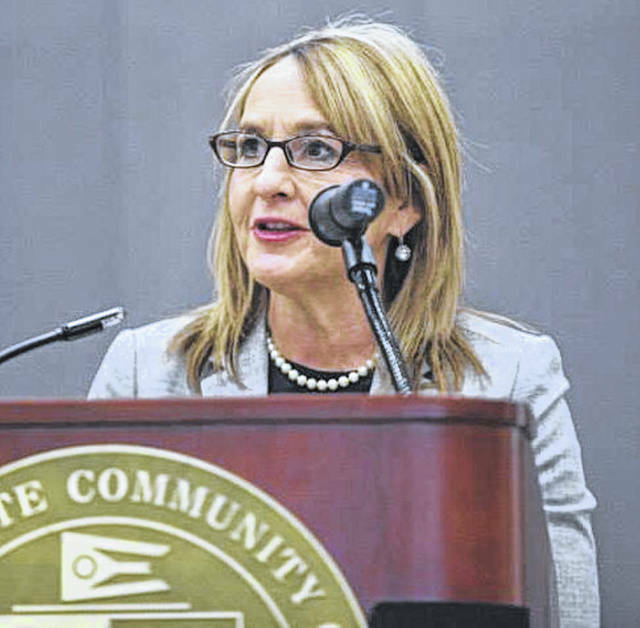 The Chamber of Commerce, which submitted the news release, said she was vacationing in Colorado, would return to her position with the chamber of Jan. 22, then will step aside at the end of the month. Chamber of Commerce staff member Erin Sheeley said a replacement for Elmore has not yet been selected. Sheeley said the chamber’s board of directors plan to release a statement toward the end of the month announcing that they are looking for a new director. The news release gave no indication why Elmore was steppping aside, but it did say she was doing so with a mix of emotions. “I want to thank the board of directors for allowing me the privilege to serve this organization over the past seven years. I also want to thank the business community and advocates whose generosity and passion has helped fuel the chamber’s growth, progress and mission,” Elmore said, according to the news release. “I will truly miss serving the business community in Highland County, and wish the chamber success in making our county a great place to live, raise a family, and own/operate a business. Since 2012, Elmore has played a critical role in the development and success of the organization, and while the chamber will miss her and her inspiring leadership, it wished her the best in her new endeavors and pursuits, the news release said. In addition to being a longtime business owner in Highland County, Elmore was able to meet the needs of the business community through her work at the chamber by financially strengthening the chamber, highlighting and ensuring the importance of agriculture as a business within the community, and maintaining a strong membership base during her tenure, according to the news release. The Highland County Chamber of Commerce is a membership-driven, business organization consisting of more than 300 Highland County businesses. Call the chamber at 937-393-1111 or visit its website at www.thehighlandchamber.com for news and information.